An international coalition of organizations including the Water Supply and Sanitation Collaborative Council (WSSCC) and the World Toilet Organization have declared November 19 the semi-official World Toilet Day (WTD). 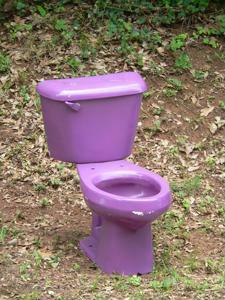 The day is intended less as a celebration of goings-on related to toilets and more of an awareness campaign. According to the WTD website, approximately 2.5 billion people in the world, most of whom reside in Africa and Asia, do not have regular access to toilets. The organization also notes that diarrhoeal diseases have had catastrophic impacts on many developing countries. Furthermore, from a historical perspective, better sanitation through the implementation of toilets has coincided with better health and productivity in Europe and North America. The advocacy group encourages others to promote WTD by spreading the word about toilet shortages and the importance of sanitation and hygiene. People can volunteer to host an event or promote the day by wearing WTD stickers. It also couldn't hurt to use social media to spread the good word about WTD. In light of the upcoming World Toilet Day, an English-speaking Thai newspaper spoke with Junya Jarayopas, an infection control expert, who advised readers on how to avoid exposure to germs when using the toilet. "Wiping out all the germs is an absolutely impossible mission even if you use the world's best toilet cleaner," he told the news source. While getting rid of every single germ in a bathroom is basically impossible, with good hygiene, like hand washing before and after using the toilet and regular clearing, Jarayopas said most people don't really have much to worry about.